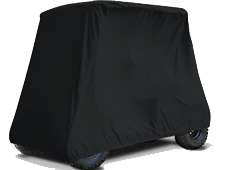 Outdoor Cover Warehouse Covers is pleased to offer you a wide range of golf cart storage covers. 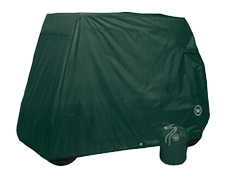 Our products are designed to protect your cart from the elements while preserving the value of your investment. 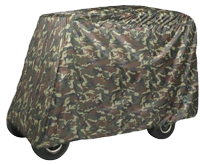 We have everything you need for inside storage to keep the dust off your cart, and we also offer heavier duty covers for outside storage. 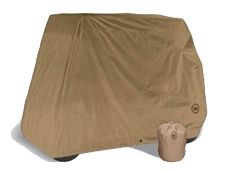 Order today to start your next round with a clean and dry golf cart! 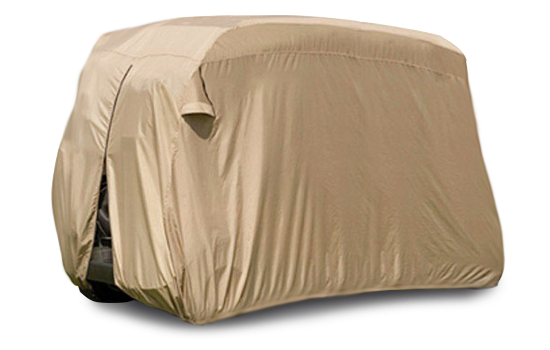 SELECT FROM ONE OF OUR MANY GOLF CART COVERS TO PROTECT YOUR VEHICLE! 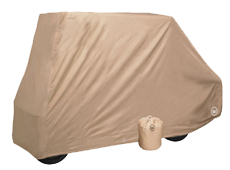 Keep your cart clean and dry with golf cart storage covers. 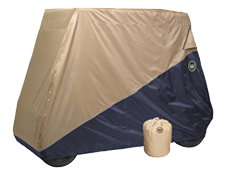 No more wiping off dust, dirt, and rain water before you play. 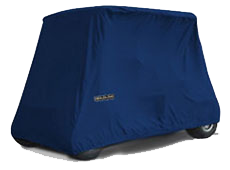 Even early morning dew will no longer be an issue with an easy slip-on cover.